For years, Marianne Williamson has been offering weekly lectures based on A Course in Miracles. These lectures are profound, insightful, and compelling with an always-relevant message. BetterListen! 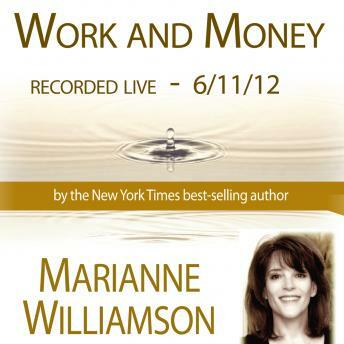 is indeed proud to provide these "best of" Marianne's lecture series from the last several years. These lectures deal with practical issues such as: How do we make the switch from fear to love? What are the practical keys? What makes a miracle happen? In what way is our relationship to God the key to our success in the world? How do we find inner peace, and help create peace in the world around us? Marianne Williamson's first book, A RETURN TO LOVE: Reflections on the Principles of A Course in Miracles, has introduced millions of people to its concepts. We are proud to make this title recorded live in Los Angeles in July, 2011.